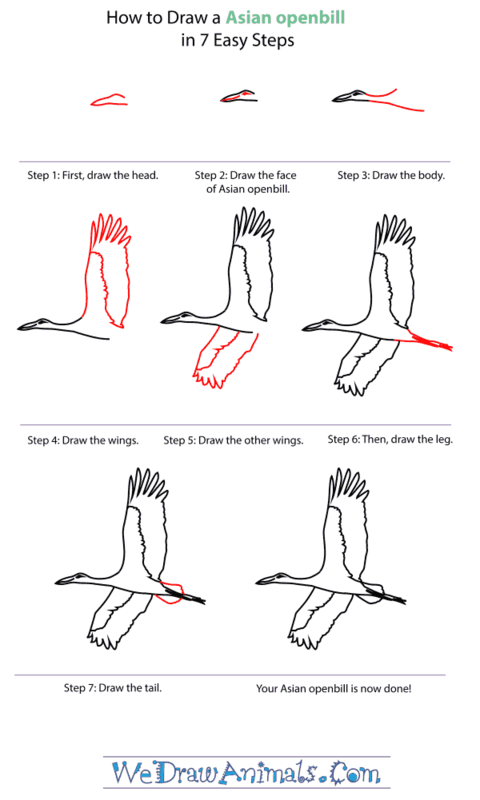 In this quick tutorial you'll learn how to draw an Asian Openbill in 7 easy steps - great for kids and novice artists. 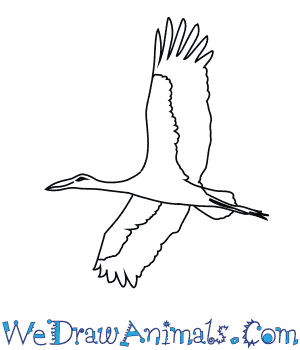 At the bottom you can read some interesting facts about the Asian Openbill. 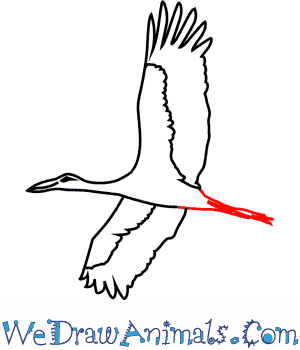 Step 1: The Asian Openbill is a kind of stork that lives in Asia. It is called an openbill because its mouth has a gap in it that makes it look open all the time. 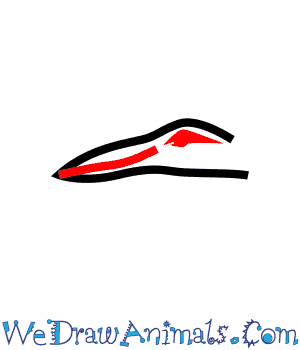 Start by drawing a long beak and a small head. Step 2: Next, add a line for the mouth. Make it curved to look like an open bill! Add an eye as well. 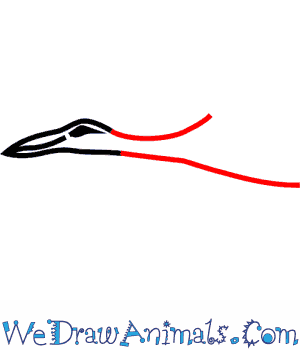 Step 3: Draw a short swooping line for the top of the bird’s neck, and a longer line for his chest and belly. 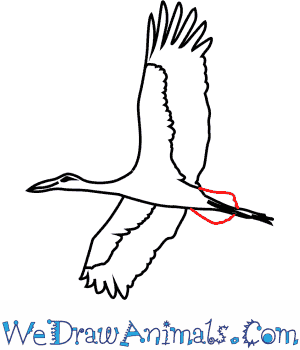 Step 4: Now we’re going to draw the openbill’s massive wings. His wings can grow up to five feet wide! Draw his wing up, with long feathers at the tips that look like fingers. Starting at the base of the feather fingers, draw a jagged line down towards the belly to add in some detail. 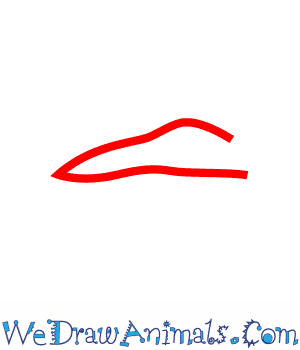 Step 5: Underneath the bird’s belly, draw another wing, similar to the first, but a little bit smaller. 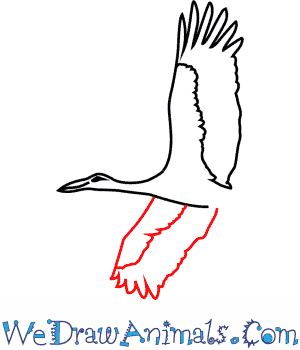 Step 6: Now, add some long lines towards the back end to create the openbill’s legs and feet. As a stork, he has long narrow legs. Step 7: On top of the legs, add in some lines to make tail feathers. You’re done! The openbill is mostly a whitish gray with black feathers on his wings. Asian openbills are also called Asian openbill storks. 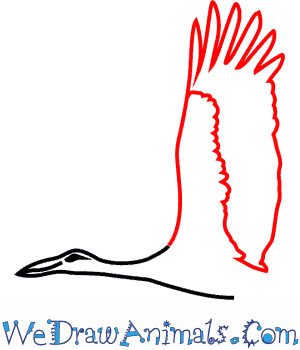 They are large wading birds that are members of the stork family called Ciconiidae. They are from India and other parts of Southeast Asia. Their habitats are wetlands such as marshes, lakes, and flooded fields. They are about three feet long and weigh between three to 20 pounds. They have a large wingspan of about five feet wide. Their name comes from the shape of their bill, which is stays slightly open all the time. Due to its shape, they cannot fully close their bill. The top and bottom only touch at the very tip. Asian openbills feed on large aquatic insects, frogs, and mollusks. Their favorite food is the golden apple snail. The shape of their bill helps them open the shells of the food they eat. Like other storks, when they are on the ground, they walk pretty slowly. Asian openbills mate for life. Females usually lay three eggs at a time. The mother and father build the nest together, which is made on a tree branch. Both parents also take turns keeping the eggs warm. After about one month, the eggs hatch. The offspring are fed and protected by their parents until they are two months old.